The Cabinet Committee on Economic Affairs (CCEA), one of the standing committees of the cabinet constituted by the Government of India, on Thursday approved Insurance Laws (Amendment) Bill, which proposes to raise Foreign Direct Investment (FDI) cap in insurance to 49 per cent from current 26 per cent. 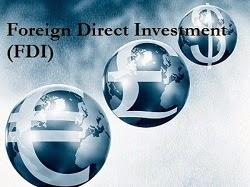 In a meeting of the CCEA, headed by Prime Minister Mr. Narendra Modi, the cabinet approved 49 per cent foreign investment in Indian insurance market through the Foreign Investment Promotion Board (FIPB) route ensuring management control in the hands of Indian promoters. Union Finance Minister, Mr. Arun Jaitley, in his maiden budget speech had said that the insurance sector is investment starved and there is a need to increase the composite ceiling in the sector to 49 per cent. Now, as the cabinet has approved the bill, it will be tabled in the Parliament. This time again, the Rajya Sabha could come on the way of insurance bill, as the ruling NDA has not necessary numbers there. It will totally depend on the Congress and other parties move.